Earn up to 9,975 reward points. Console-grade discrete microphone preamp interface with all of Antelope's FPGA FX. Discrete 8 includes drivers for Thunderbolt and USB for both Mac and PC; iOS and Android remote control apps; and the all new easy panel software including easy monitor mixes, easy to use effects and streamlined routing. 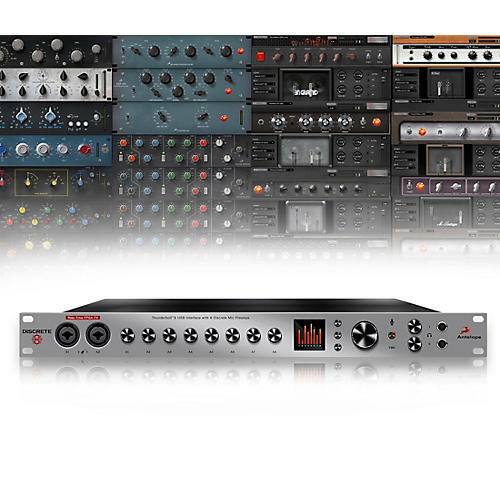 Enjoy warm professional-sounding audio and legendary FX gear in your DAW—order soon.